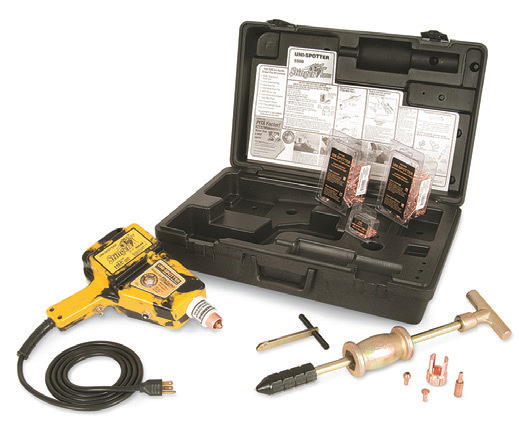 Mid-range kit features powerful 1150 watt gun with safety overload and NEMA 5-15P. This complete kit includes 1000 studs, 3 tips, grd. Collar & 2 pullers in HD storage case. The Uni-Spotter 5500 Stinger Plus kit is a complete mid-range kit, featuring the most powerful mid-range welder available. This kit was designed for the body man who wants a complete kit for his individual use. 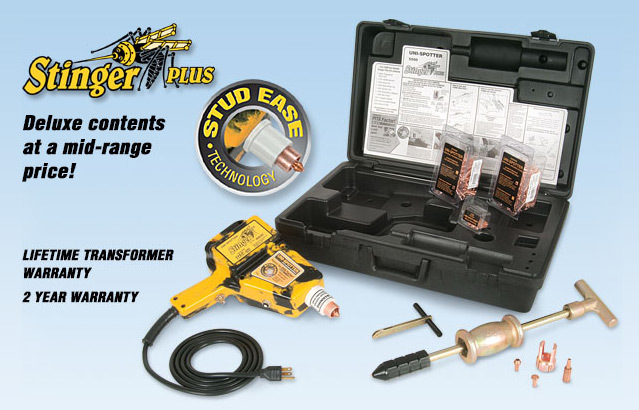 The 5500 Stinger Plus kit features the Uni-Spotter exclusive “Stud Ease Technology”. Stud Ease holds the welding stud in the welder regardless of the direction the welder is pointed. No longer does the stud fall out of the welder when the welder is pointed in a downward direction. 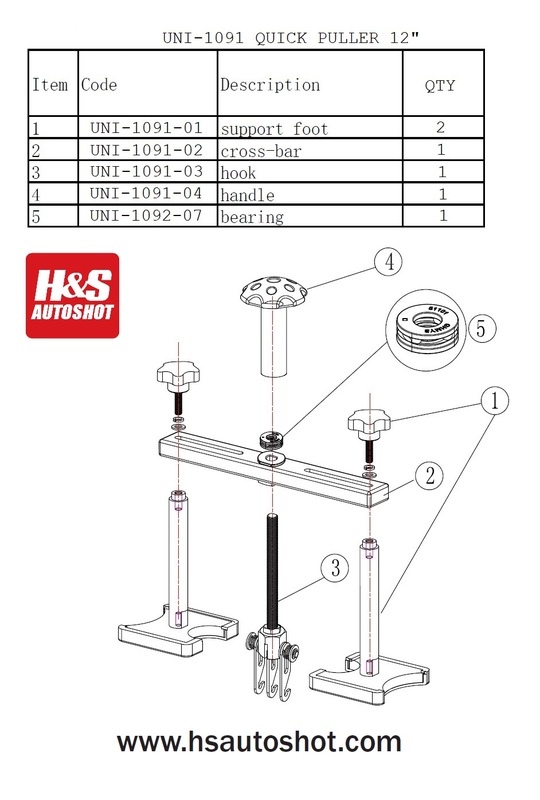 This design feature is exclusive to H&S Autoshot’s Uni-Spotter Stud Welders. 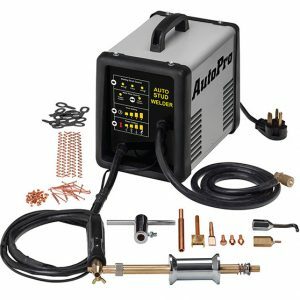 5590 Stinger Welder: The 5590 Stinger welder is the most powerful mid range welder on the market. 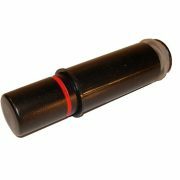 It is 110 volt and comes with a built-in overload relay to protect the transformer form overheating. The trigger is mounted in the handle for easy operation. The 5590 Welder features “Stud Ease Technology”, exclusive to Uni-Spotter. 1001 Flexpert Welding Studs: The 1001 Flexpert Welding Studs are the most popular stud sold. 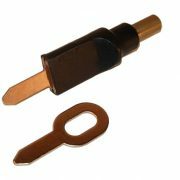 They are 2.2 mm copper coated and have been specially designed for easy welding and easy removal after the pulling is complete. The shafts are strong yet flexible. This is the preferred stud for use with slide hammers. 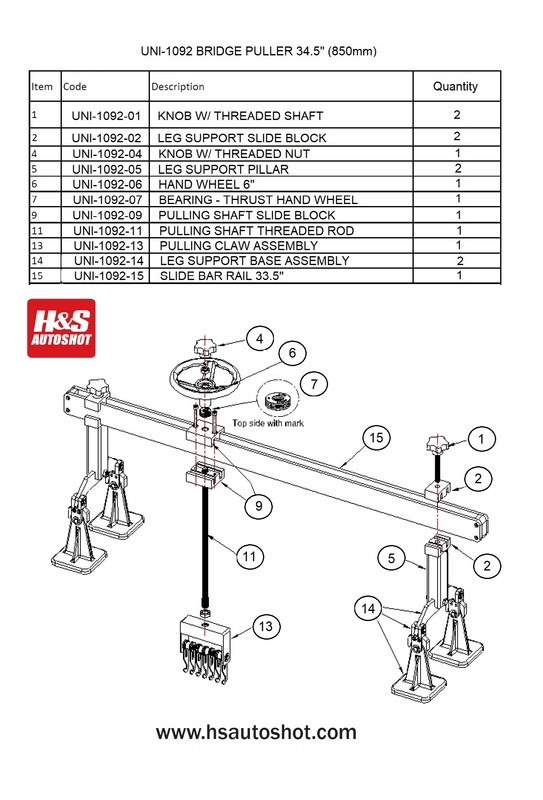 1002 Heavy Weight Studs: The 1002 Heavy Weight Studs are designed for heavy pulling applications. 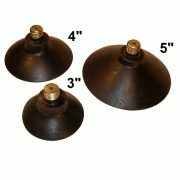 They are 2.6 mm copper coated and have been designed for easy welding and easy removal after the pulling is complete. The shafts are strong yet flexible. 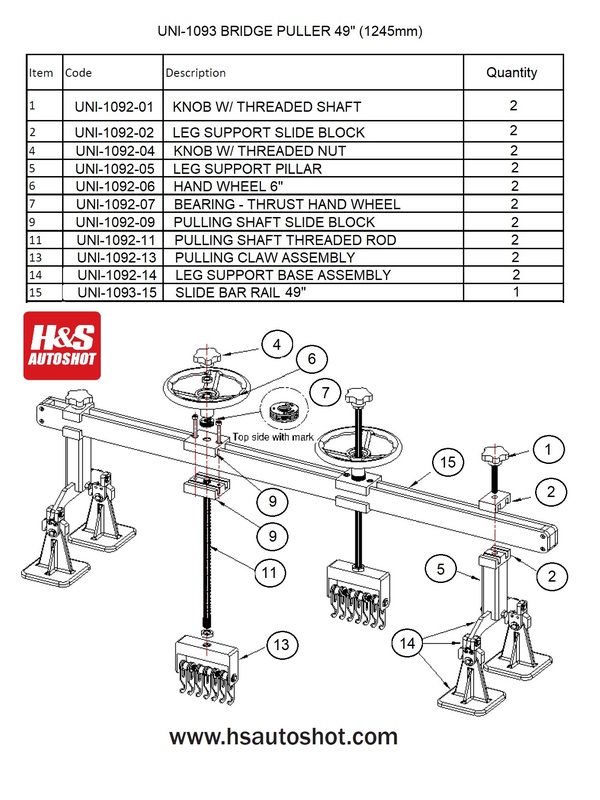 This stud was designed to be used with the 1080 Uni-Clamp for making heavy structural pulls. 1003 Body Side Molding Rivets: The 1003 Body Side Molding Rivets are OEM style rivets designed to attach the body side molding clips. These rivets return the repaired panel to original OEM design and quality. 1004 Stud Welding tip: The 1004 stud welding tip can be used with all welding studs up to 2.6 mm in diameter. Designed with a Morse Taper for a positive fit with an easy removal. 1005 Molding Rivet Welding Tip: The 1005 Molding Rivet Tip is specially designed to hold 1003 Molding Rivets during welding. 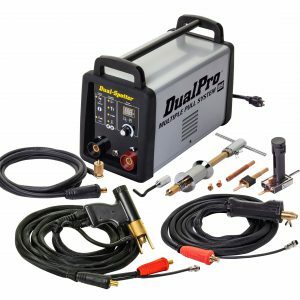 The tip has a built-in magnet that holds the rivet firmly for easy placement during welding. Designed with a Morse Taper for a positive fit with easy removal. 1007 Shrink Welding Tip: The 1007 shrink welding tip has been designed to be used when shrinking panels. The slightly convex design applies heat to the panel without burning. 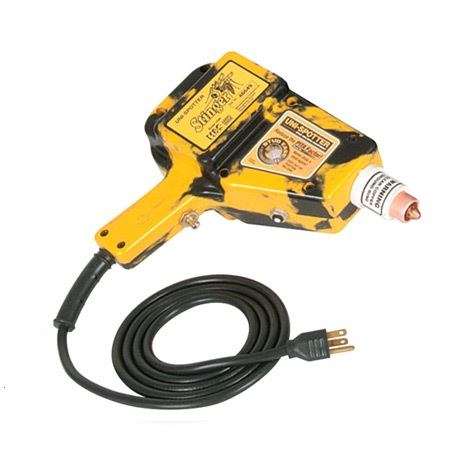 Great for use when shrinking panels in replacement of an oxy-acetylene torch. Designed with a Morse Taper for a positive fit with an easy removal. 1016 Deluxe Slide Hammer: The 1016 Deluxe Slide Hammer has been designed with a 4 jaw collet which firmly grips the stud and does not let go till you release it. The “T” Handle give the operator a comfortable ergonomic grip. The tapered head allows for tapping the panel close to the stud. 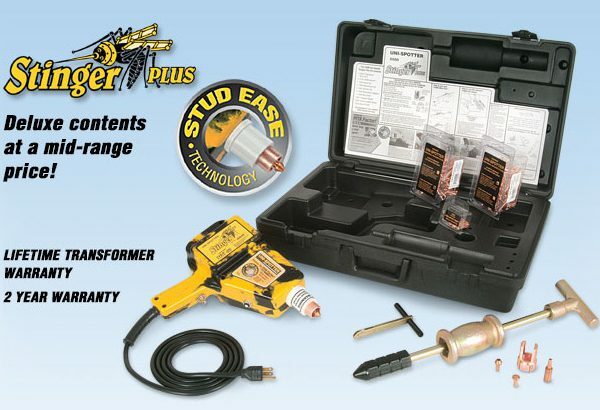 1045 Eliminator Side by Side Adapter with Stud Ease Technology: The 1045 Eliminator Side by Side Adapter has been design to weld a series of stud close together to be used with a 1080 Uni-Clamp or alternative multi stud pulling devise. Multiple studs welded close together increases the pull strength and size of the pull area. 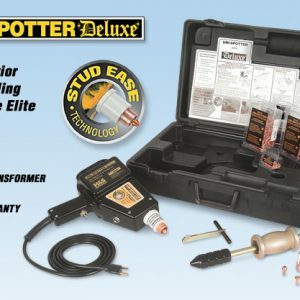 The Uni-Spotter exclusive “Stud Ease Technology” holds the stud into the 1045 Adapter. This allows the operator to weld in a downward direction with out the stud falling out. 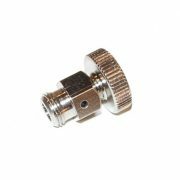 The open design of the 1045 Adapter allows for more accurate placement of pulling studs. 1095 Mini Pull’r: The 1095 Mini Pull’r was designed with today’s light weight panels in mind. The Posi-Cam locking system lets you quickly grip studs for hand pulling. The narrow design gives full view of the pulling area. 5529 Tool Box: 5529 Custom Molded Plastic Tool box provides secure storage for the 5500 Stinger Plus Welder Kit with a sturdy handle for carrying. The interior features a molded design to contain all of the accessories to prevent them from moving around when the kit is being transported.